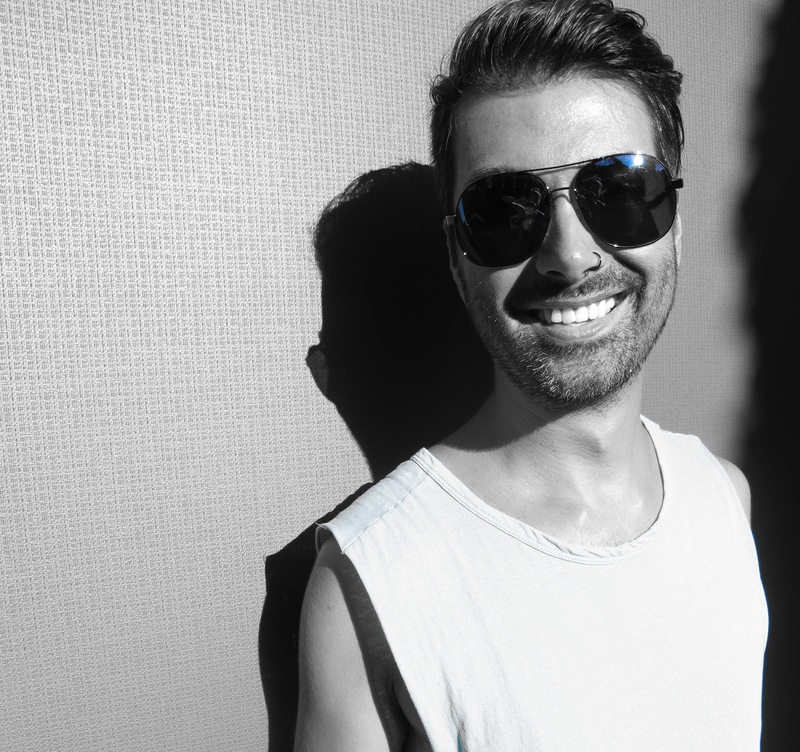 We are very honoured to welcome Matthew Dekay to EDHID’s exclusive interview series. We were impressed by the determination of a person who had to courage to say no to a commercial career and re-focused himself to the core value of any musical ambition, the love of music. Enjoy this exceptional conversation about early influences, production techniques, the art of DJing and the status quo of the music business. Hi Matthew! How did music influence you during your youth? My father was a bass guitarist in bands and liked everything that had a groove. I was always listening to him when he was rehearsing at weekends. It was a musical family as my mum danced folklore as well. We had a piano at home and the first memory I have of myself is sitting in front of it, pushing the keys and feeling so much curiosity about the frequencies that came out of it. At the age of four, I asked my parents for piano lessons but they told me I would only get them if by the age of 10 I was still interested. Of course I was, so that was when I first started to learn classical piano. When did you discover electronic music and how did you decide to embark on this musical path? I wasn’t introduced to electronic music by radio or a club experience. Rather, my first contact was at music conventions held during the early ‘80s where they played that type of music to showcase the uses of the new instruments. My father was really obsessed with gear, keyboards in particular, and he took me to these international music conferences where all the big name manufacturers came to announce their new products. Around that time, there was also switch from analogue to digital synthesizers. These experiences blew my mind and I recall how I was carrying these product catalogues with me everywhere staring at them and somehow just inherited this passion for gears. Later, I abandoned the educational path in classical music as studying repertoire or wanting to become a piano virtuoso wasn’t so appealing to me. In my opinion, music shouldn’t have rules. Embarking on a musical path with electronics enabled me to break out from classical boundaries and improvise my own style. When did you start producing? How difficult was it to find a platform to release your music? I started to produce music at a time when having a studio required a lot of capital-intensive investments. I knew few that had such funds or had the determination to allocate such an amount of money to a project with a lot of uncertainty about the ability to actually find a platform to release the music. Today everybody can start their own label with digital releases. At that time, I was buying a lot of records and I recall how I read thoroughly through each liner note for telephone numbers to call and ask if they were interested in my music. I eventually made a deal with a studio so I was responsible for keeping everything up and running in exchange for the chance to use the studio during free slots. It actually took me quite a long time to produce something that people would even dance to! (laughter). What about the discussion analogue vs. digital gear? What is your view? Experiencing the technologic evolution in music production over the last two decades has provided me definitively with a steep learning curve. However, young producers should be aware of how lucky they are to have the opportunity to produce their own music with no significant capital risk at least. I remember my mother trying to help me clean my studio while I was at school and coming home to find all my synthesizer settings had been moved! I also remember times when it took me 30 minutes to upload a sample from a floppy drive or just having 2MB Mono-Sample-RAM. Imagine this is just few seconds compared to the potential that we have today. As in every form of art and music in particular, it doesn’t depend on your means but primarily on three elements: vision, courage and determination. You have to set yourself boundaries and focus on the available set-up. If you don’t do that, you don’t have a clear vision. My recommendation to aspiring producers is not to romanticise the past but to focus on giving yourself limitations. Do you deny the use of analogue gear then? No. However, digital may sound even better than analogue depending on the circumstances. I know well-respected studio engineers who have a museum of analogue gear at hand and have tried to emulate a certain sound aesthetic that they thought to be exclusively analogue which turned out to be produced digitally. This is one of those examples that awakened and motivated me to take a step forward. Nevertheless, it is primarily about your concept. If you only have a synthesizer without midi then your target must be to conceptualize and capture your own performance live but this technique can also be applied in a modern digital studio environment. How did you perceive the transformation within the music industry over the last 20 years? The industry has changed in a way that it has become very difficult just to make a living only out of music sales. The proportion of income generated by stage presence and performance increased significantly so producers had to enter the DJ world as the audience’s demand for seeing the composer of a particular record playing it publicly increased. When I re-entered the electronic music scene around the early ‘00s after a short stint in cinematic music, I did not aim to be a DJ. I was actually a terrible DJ back then. I just wanted DJs to play my records. Do you think the art of DJing changed as well? I don’t want to sound nasty but I think that the concept of the Resident or Warmup-DJ is dead. Residents nowadays have the same possibilities to become as successful as the big players do because each of them can experiment with their laptops, produce amazing music and may be even more creative. There are many DJs that have been travelling the world for 20 years or more and I don’t want to generalise, but most of these artists don’t have the time to focus on their performances due to their heavy schedules. Another reason is that charts are dead. In the past, the music industry had middlemen who conducted a pre-filter and decided what they liked out of the selection and that was what made it to the general public’s ears. Nowadays, it’s just a sheer mass of music and it’s the people that decide via social media what is going to be popular and what’s not. Again, this is not meant in a bad way. I can discover an artist every day that has three times the amount of fans than I do and this is amazing. Today, everybody wants their 15 minutes of fame and most likely will get it. However, the dangerous aspect is that the whole industry has transformed into an organisation that now just pleases the people and gives them what they want instead of maintaining the art as an exploration. For me personally, art should surprise or even shock in order to trigger the thinking process in people. Just satisfying people is not difficult, I know that from my previous career, however, it simply has no authenticity. Did you DJ style change over the years? My career actually started completely contrary to the common progression of a DJ. I played big festivals from the very beginning like the Love Parade for 1 million people, even though I know that I was a terrible DJ. It was only later I decided to go smaller and more underground. I never felt comfortable with these huge commercial events and have to shamefully admit that it had nothing to do with pleasure. However now, I have really started to love DJing and I think I finally became really good at it and I believe the love I now put into it shows with the audience’s reaction. I reserve some of my unreleased material exclusively for my DJ-sets because I think this is important as well. There is definitively a special synergy if Lee (editor’s note: Lee Burridge) and I play together at our All Day I Dream parties because the whole concept is aligned with our productions. However, I have to say that my personal style has evolved and now includes a darker, more melancholic note that goes very well with Lee’s brighter, more joyful style. I also decided recently to request longer sets and to warm-up for myself which is actually quite uncommon. It’s not going to give me a higher pay cheque but that’s not why I’m doing this job anyway. I just want to fight for my dance floor and build the night musically on my own. Some people may not agree, but this is my journey and I think that’s the right approach for me. What lead to you take a break in the late ‘00s after a successful career? I recall that I was sitting in the DJ booth of a very famous club in Ibiza while some world-class trance DJs were playing and I began to question myself: ‘what am I doing here right now? I absolutely hate what I have become’. I realised that I had lost my artistry, passion and curiosity for the music and that I was just there to please people. In essence, it was no different than if I was working in a bakery making birthday cakes. A lot of DJs lose track of what it’s all about when the rollercoaster of a career starts and music becomes just a business. The same happened for me. It’s easy to get greedy and also influenced by the people around you. I decided that I needed to go back to the core of why I started in this industry in the first place so I moved to New York, met Lee Burridge and went to a lot of underground parties. I realised eventually that it feels much more satisfactory if you really do it for the right reasons and for me that was purely because of my love of music. How did the connection with Lee Burridge evolve? While searching for a new direction, Lee became one of my favourite DJs and I sent him my new tracks. He supported me right from the very beginning and helped so much with the visibility of my music by playing it out at clubs and festivals like Burning Man. Before that, labels were paying no attention to this new path I was embarking on. We then decided to have a try in the studio to combine our respective strengths. Our first shot sounded so terrible that we just laughed and thought ‘ok, at least we are good friends’. It was actually a very early version of ‘Wongel’ that no one of this earth has ever listened to (laughter). I continued to work on it and Lee then played a new version of the track to Cassy who forwarded the track Nick Curly (editor’s note: founder of Cécille). I received a call from Lee later telling me that the track had been signed. Retrospectively, I have to say that the decision to collaborate with Lee was the best in my life. It also strengthens my previous point that if you have a vision and the courage to take it somewhere, determination will bring the success. The outcome of your collaboration was quite successful with anthems like ‘Fuer die Liebe’ for Burning Man and Innervisions using the title ‘Lost In A Moment’ for their parties worldwide. How does this feel? I am really proud of these records without wanting to give myself a pat on the back. I can’t really figure out how they were even made. I just went into the studio and opened myself up and it felt like I was just the bridge between the recording equipment and the universe. I don’t even feel I can claim it as my music. For me personally, music and spirituality have a very strong link. I was really inspired by Thomas Melchior & Luciano’s track ‘Father’ and Ricardo Villalobos as well as Pier Bucci who was my studio neighbour at that particular time. When I arrived in Berlin in 2009, I had a vision of starting a new musical career and actually having fewer EURs in my pocket than ever before made me so much happier than in my previous career. My vision came true finally and I have to say that this is the biggest satisfaction of my life. I just finished a remix for the Danish band WhoMadeWho and at the beginning of next year there will be also a new collaboration coming out with Lee. We will also focus more on All Day I Dream’s roster to build and foster some very talented artists. Many thanks to Dinamo FM’s team for supporting the audio interview preparation.